1. 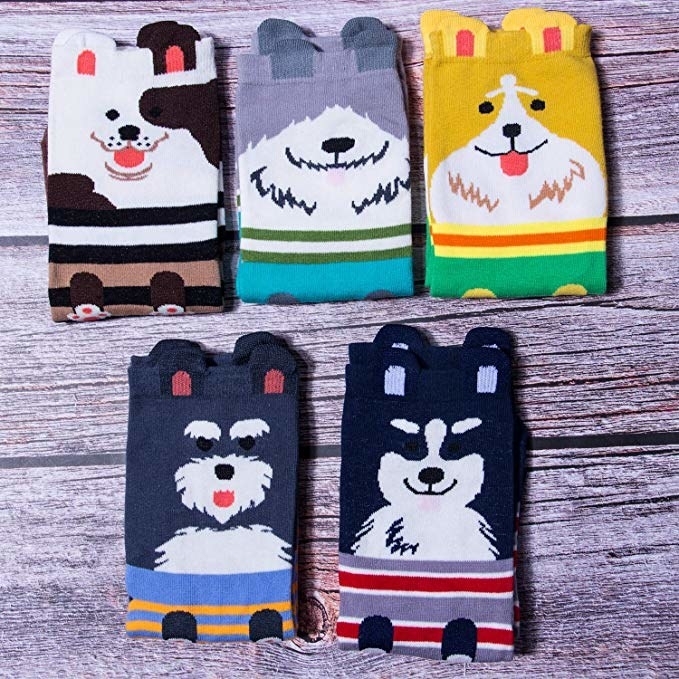 A set of ear-resitable pupper socks we should all just take a moment and paws to appreciate. 2. 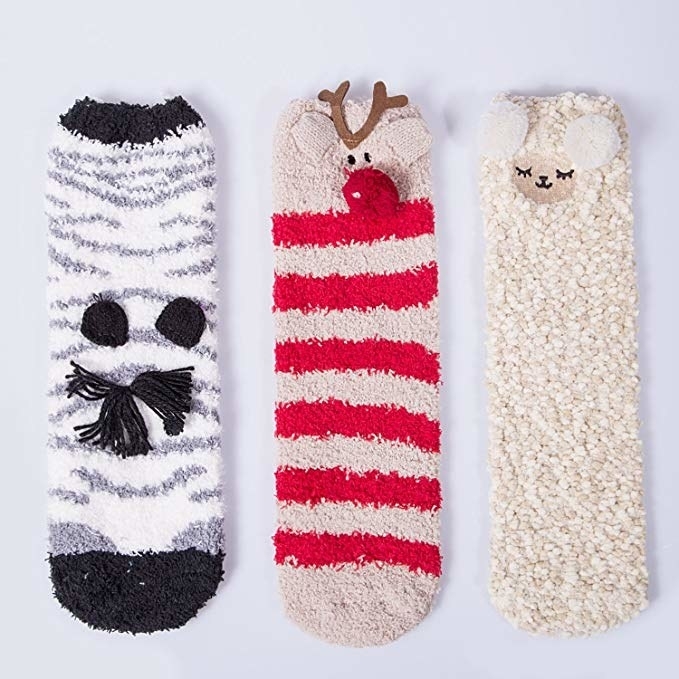 Thick knit cuties ready to rename the Dr. Seuss classic Fox On Socks. 3. An unbelievably affordable pair paying homage to the most amazing house-elf the world has ever known. 4. Sheer floral socks so stylish, you'll wish you didn't have to wear shoes. Unfortunately, you do, but you should totally pick kicks these can peek out from, like low-top sneaks or ankle booties. 5. 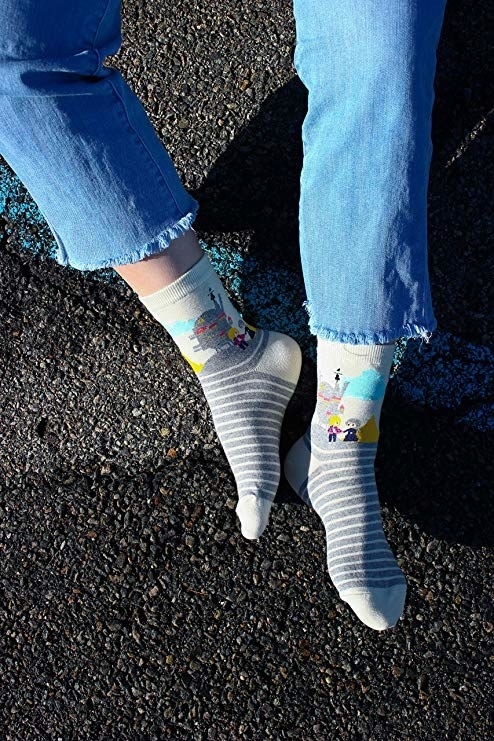 Sassy, sweary socks with over 1,000 positive reviews from folks with happy feet. 6. Some Bob Ross socks for anyone who believes there are no mistakes, just happy accidents. One thing that would actually be a mistake? Not buying these. 7. 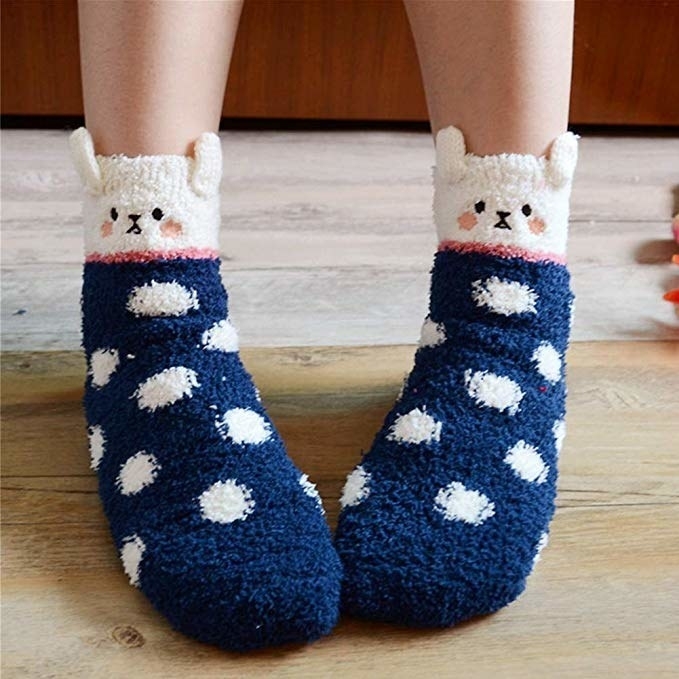 Super fluffy critter socks who can't wait to curl up with you on your next cozy night in. 8. 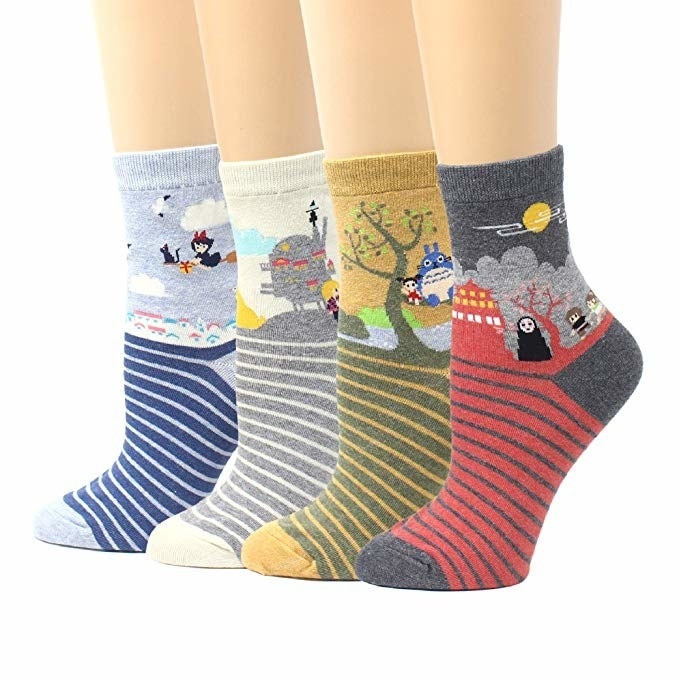 A set of Studio Ghibli-themed socks sure to put a smile on your face when you wear them — they might just be the Miyaza-key to a good day. Look at the little Kiki and Jiji! And Howl and Sophie! Squee!!! 9. 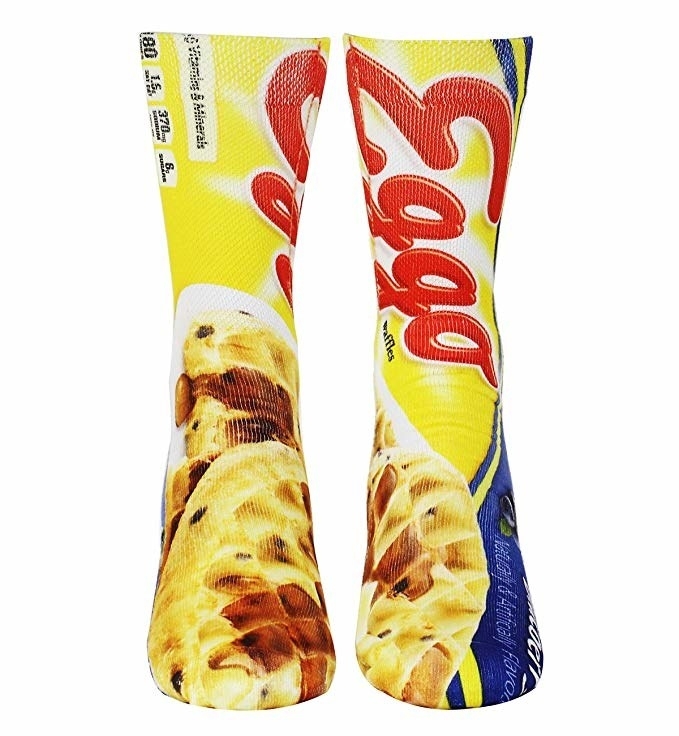 Smiling mac 'n' cheese socks that combine comfort food and comfort footwear. 10. 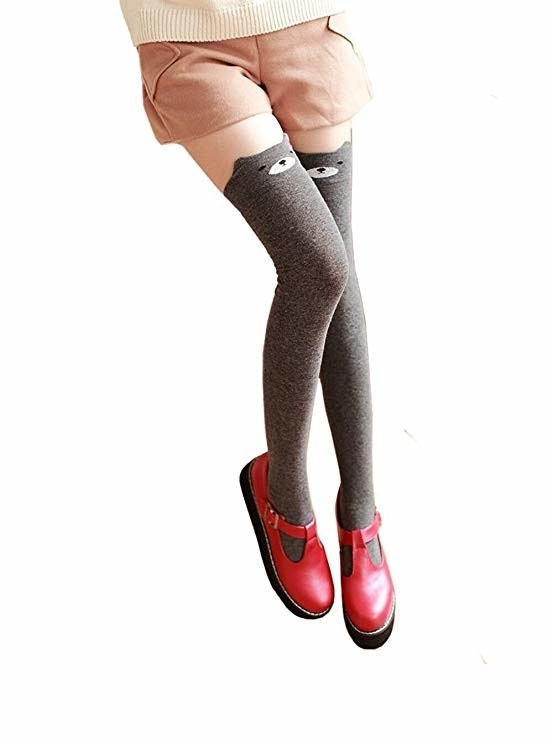 Over-the-knee animal socks who can't wait to peek out from your fave boots. 11. 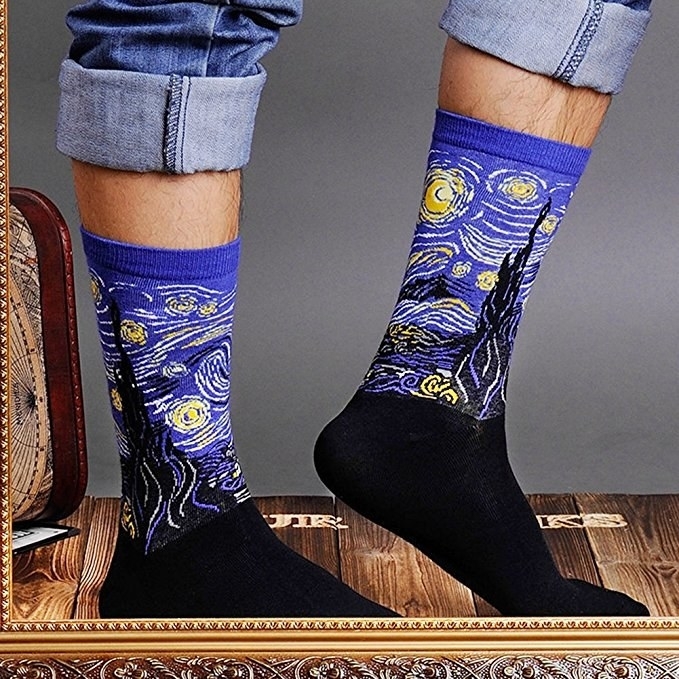 Socks featuring famous paintings to turn your tootsies into works of art that belong in a damn museum. Promising review: "Wow! 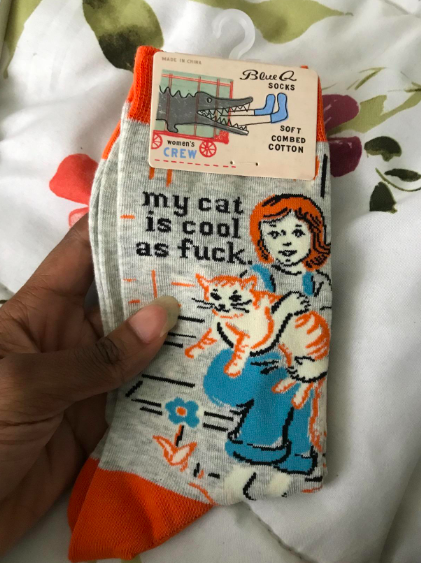 I’m truly impressed with these socks. I honestly thought they’d be thin and made of 100% polyester with the design printed on them, but I was pleasantly proved wrong in all areas! 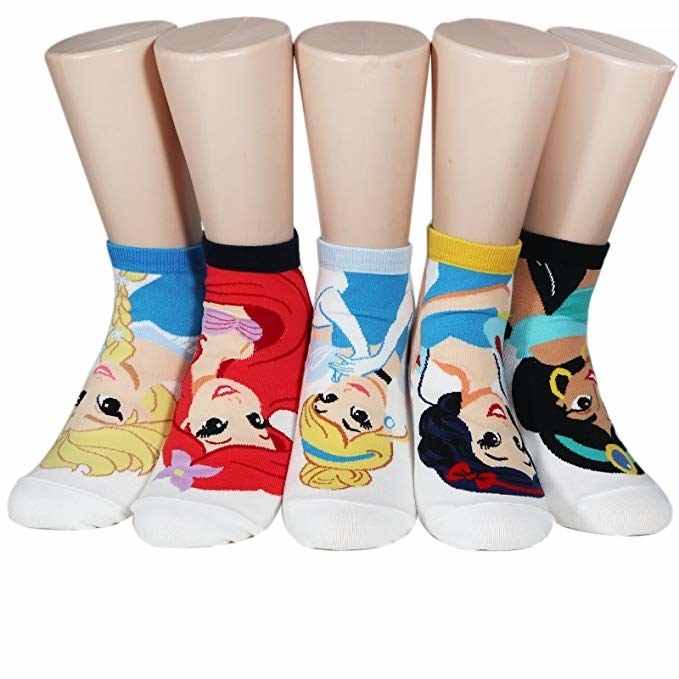 They are thicker than typical polyester socks and made with much better materials: cotton and spandex. 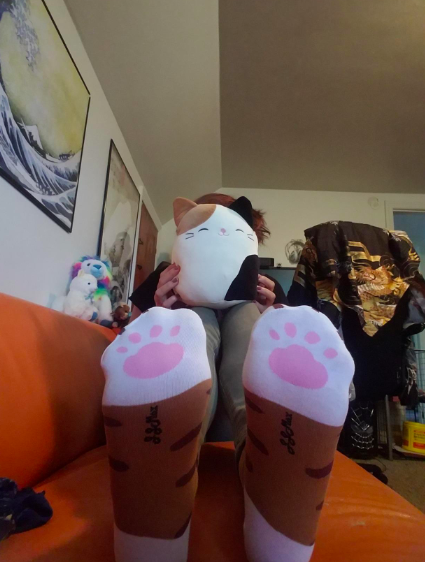 The design is actually sewn in, which means the artwork will actually last on these socks! 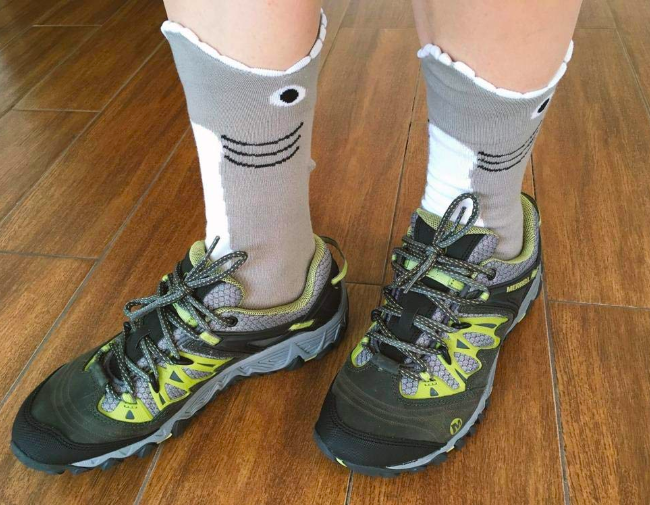 It’s visible when turning the socks inside out. Can’t wait to wear these to work!" —Tanya M.
12. 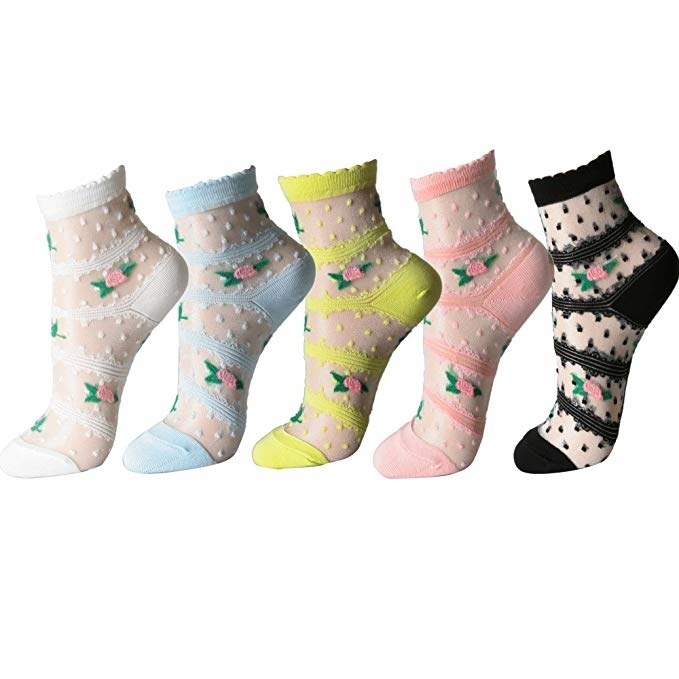 Polka dot Pokémon ankle socks so cute, you won't be able decide which pair to rock first. You gotta wear 'em all! Me, reaching into my sock drawer: "Snorlax, I choose you!" 13. 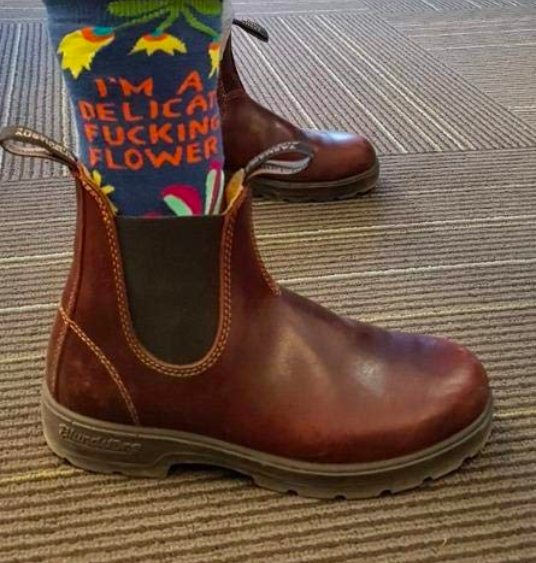 Bold printed socks that make one humble request. If your family and friends choose to ignore it, you have nothing left to taco bout. 14. Fuzzy Frenchies who know the answer to the question "Is it still cute to wear pastels in the winter?" is absolutely "Oui oui!" 15. 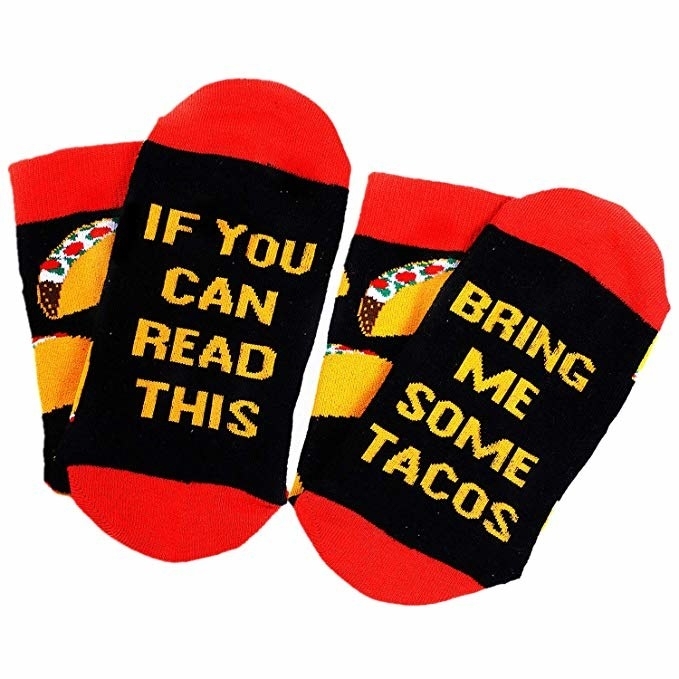 An LOL-worthy pair ready to nom on your ankle and take a bite out of your otherwise boring sock collection. 16. 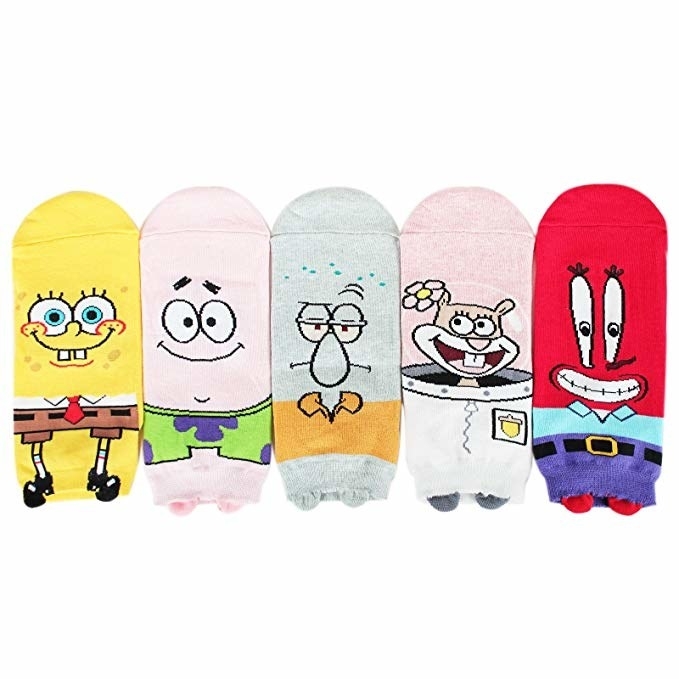 A set featuring favorite animated characters, from princesses to Bikini Bottom residents. Other options available include Adventure Time and Pixar! 17. 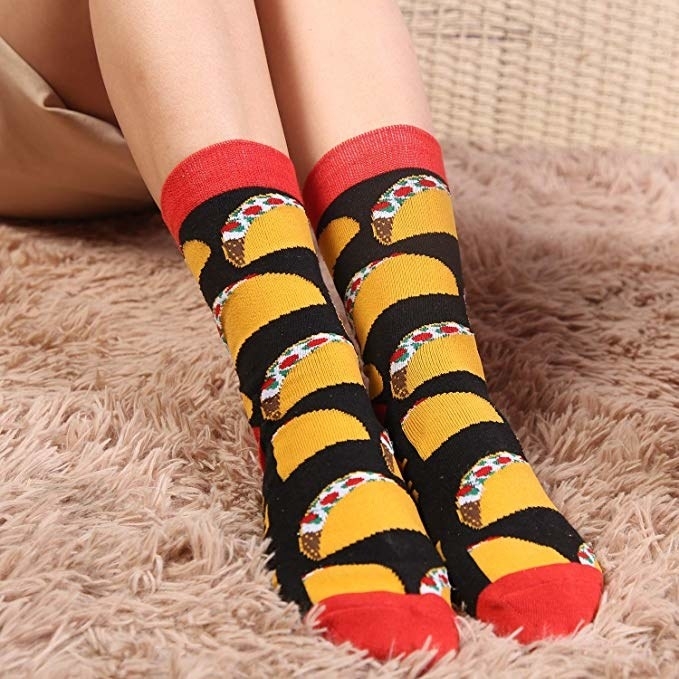 Some avocado socks in which you won't just walk the walk, you'll guac the guac. 18. 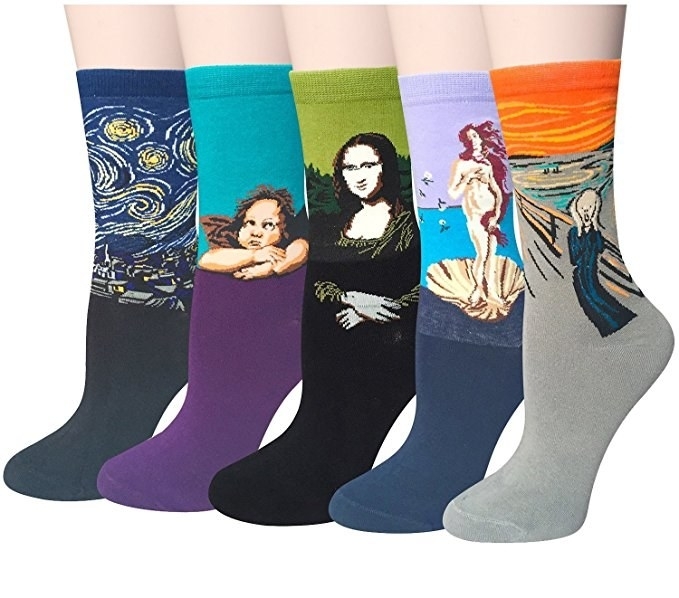 A six-pack of everyday ankle socks available in tons of fun designs, from the irreverent to the quirky. 19. 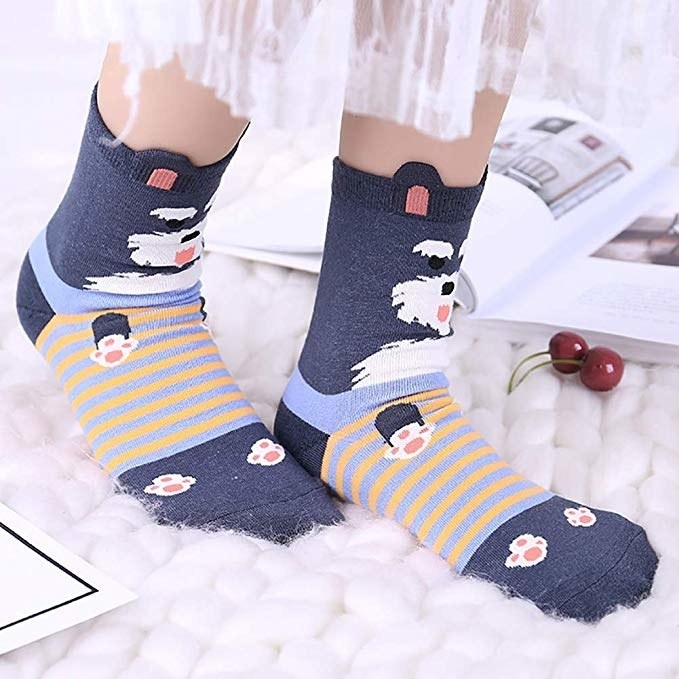 A set of soft and comfy little ladies who want to ensure your sock wardrobe is anything but bow-ring. 20. 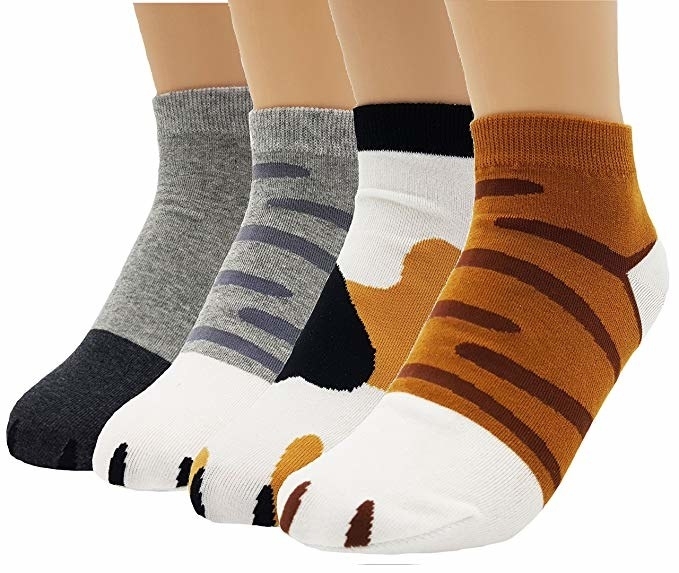 Paws-itively adorable kitty feet socks that are exactly what you should ask Santa Claws for this year. They're available in both ankle and crew styles! 21. 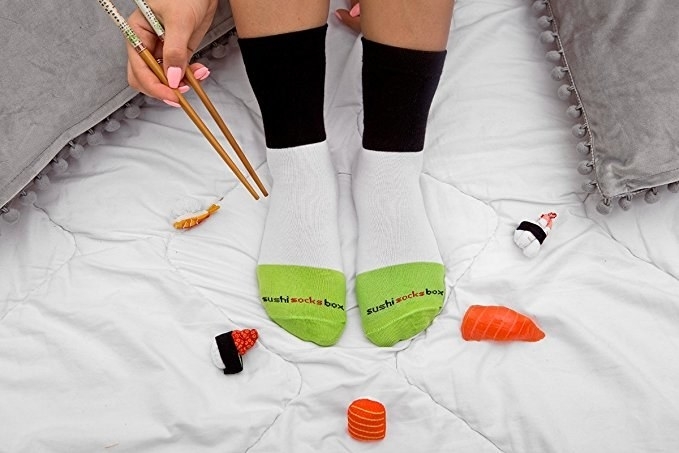 Hilariously clever tube socks sure to have you looking like a total snack. 22. A trio of hungry Pusheens anyone who loves cats and noms (so, everyone?) needs in their life. 23. 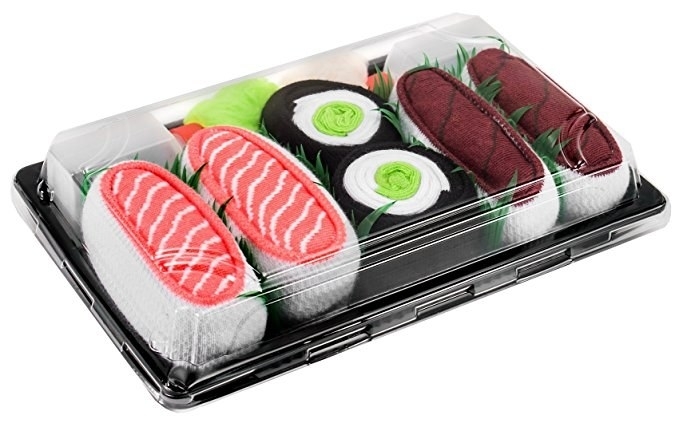 And an OMG-worthy boxed set of sushi socks that know presentation is everything — and when it comes to that, these babies are on a roll. 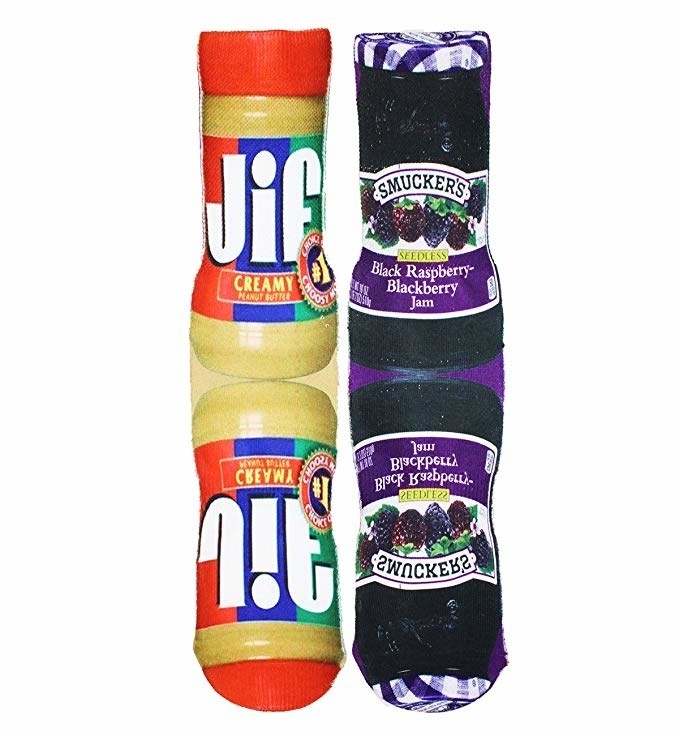 24 Foot Products You Can Get On Amazon That People Actually Swear By. 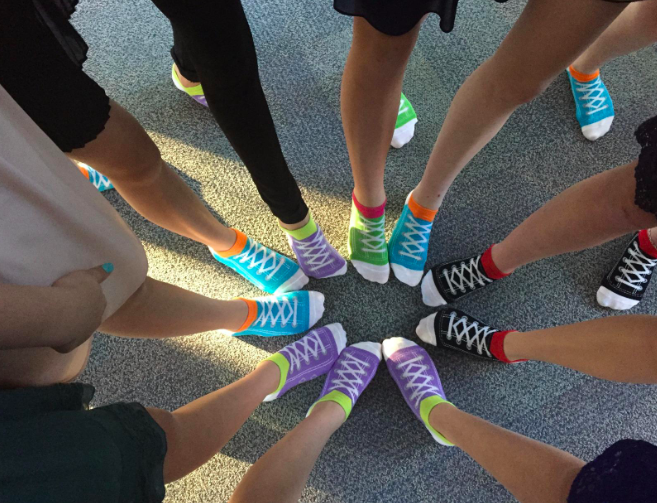 Here's to socks and all the joy they can bring.